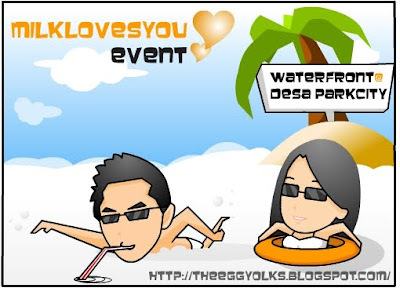 Finally, I have been attending the milk loves you event at waterfront Desa Parkity. I have been wondering how to go there as I’m from Kuching. 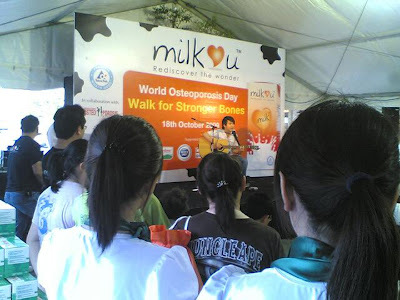 By chance I’m in KL for training so I’m able to join the event. Actually I have been asking around, seeking help from my KL friends but they are not sure about the place and some of them are not free to bring me there. So my kind colleagues who come from Kuching as well said if worst come to worst, they will accompany me there by taxi. 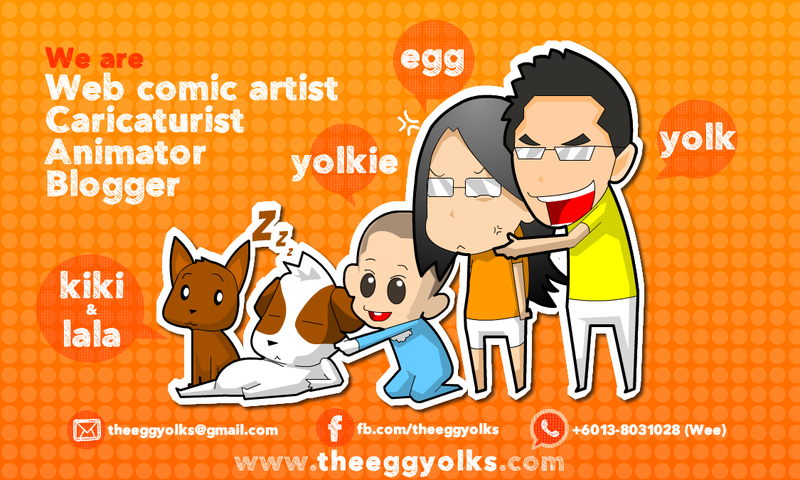 On Saturday, yolk who is in Kuching helped me to find out that the 2nd prize blog winner “lizzie” was willing to fetch me. I had sms her and she is indeed a helpful lady. Yesterday morning I went to One Utama with my 2 colleagues from Kuching and Lizzie decided to fetch me at One Utama. But unfortunately she was involved in a car accident and had to rush to police station. So she couldn’t fetch me over there. I felt really sorry for her. Hope that she is fine. My colleagues and I rushed to Desa Parkcity with a taxi. 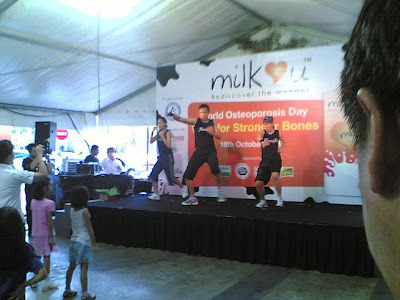 We had a great tie there meeting Tetrapak staff and contest winner, drinking special flavour milk, joining peek in the holes contest to count the boxes of milk, watching aerobic dance and finally it ended with prize giving ceremony. 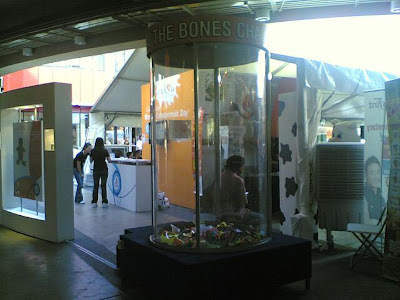 Actually I had planned to help lizzie to claim her prize. One of my colleague, Nicholas even helped her to get the prize on stage. But her mini hi-fi is too big for us to carry around. (sorry Lizzie). After that, we travel back to our istara condominium by the help of tetrapak people fetching us over to the nearest rapid KL station. 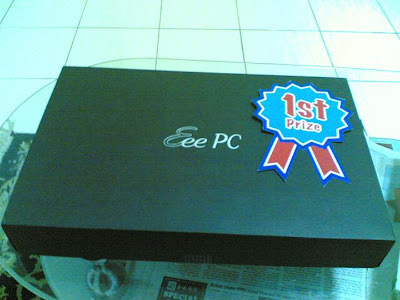 I felt happy not because i get the 1st prize (Asus eeepc netbook) but I found out that people around me are just too kind and helpful, they are Raymond and Nicholas (my colleagues whom I knew them for only 6 days!) and last but not least, Lizzie.